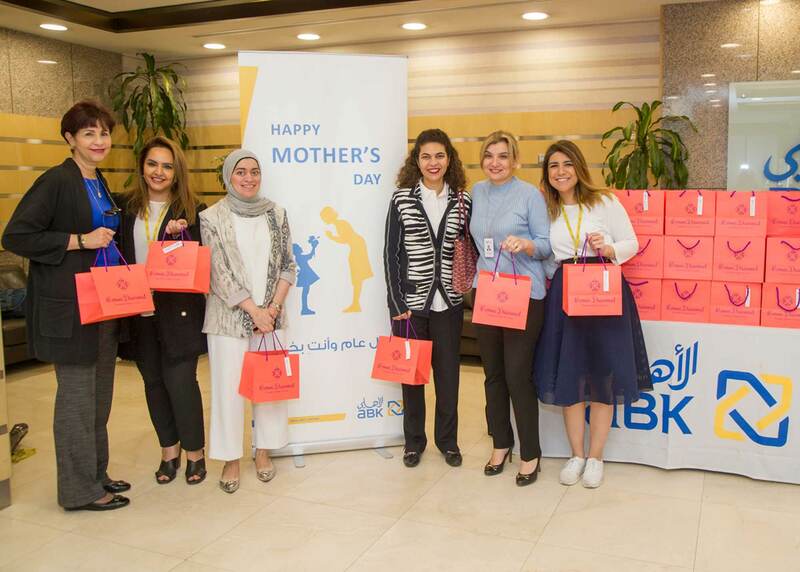 : Al Ahli Bank of Kuwait (ABK) celebrated Mother’s Day in an initiative that aims to enhance the Bank’s relationship with its employees and customers and to spread the joy of this occasion across its branches. Mother’s Day gifts were presented to female staff members and customers who visited the Head Office and the Bank’s branches on the day. ABK marked the event in appreciation of mothers and the vital role they play in building the family home, raising children, and the daily encouragement given by mothers to their children to guide their careers and build a future. The Bank also celebrated this occasion with the elderly by sponsoring the Ministry of Social Affair’s Mother’s Day event, which was held at the elderly home. The event aimed to spread joy amongst senior citizens in the midst of a fun ambiance with gifts distributed to elderly mothers on this special day. The Corporate Communications team also distributed gifts to all female bank staff at the Head Office and branches and took team photos which will be handed to them as Mother’s Day memorabilia to remind them of the important role they play in the society. ABK is committed to social responsibility and respects the sacrifices mothers make to come to work on a daily basis while also ensuring the wellbeing of their families. Events such as these reiterate the Bank’s commitment and gratitude towards its employees.